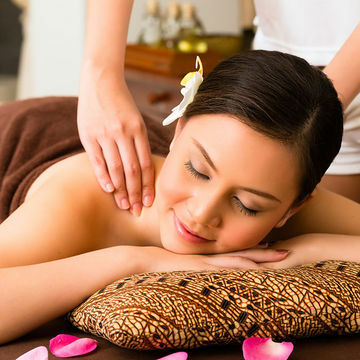 New Moms in China Are Paying What For Post-Pregnancy Pampering?! No, but really, who has this kind of money to spend after pregnancy? When you think of the indulgent things you did after your first (or second or third) pregnancy, what comes to mind? Maybe a shower that lasted longer than two minutes? Or maybe that wonderful afternoon where your friend babysat your babe so you could run errands, blow dry your hair and take—what felt like—a blissful hour-long nap? It was the small things that meant the most post-pregnancy, but if you lived in China, you might have spent a pretty penny to make those pampering moments a reality. According to the New York Times, many new moms in China go through an ancient tradition called 'confinement' after giving birth. This means they experience around-the-clock care along with access to experts, a massage therapist and other spa services—as well as personal chefs. The intent of this period is to help mothers adjust to the responsibliites—and the um, raging hormones—that come with giving birth and raising a newborn. During this period, many babies are also given the star treatment—infant massages for example—and nanny care that doesn't come cheap. In fact, the New York Times estimates that such care cost around $27,000—or you know, a whopping, $900 a day for this month of postpartum bliss. It's okay—we were astonished too. While we think it might be a little over the top to have quite this much indulgence after you bring a baby into the world, we have to give it to China for paying respect to what it means—and what it takes!—to become a mother. From the emotional and hormonal transformation to having a living, breathing human to keep alive, a month of spa treatments seems like a small price to pay. Even if we can't afford it, we get why moms in China would value this time of confinement. Wouldn't you?